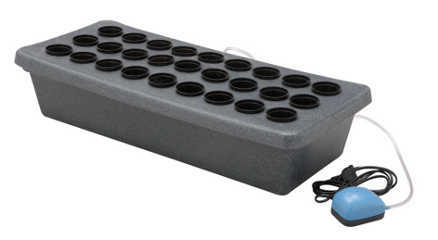 The CuttingBoard is an ideal system to get vigorous and healthy seedlings with a perfect root mass, and the faculty to adapt easily to the different environments in which they will be later transplanted, be it in hydroponics or in soil. It is a key system for small projects and a must for the collector. It is an important instrument for the professional who seeks the healthiest cuttings, for researchers, and even for schools and universities, to teach plant biology to all classes. You will be amazed by the diversity of plants that can be propagated from cuttings using our systems. These include fruit and nut trees, ornamental shrubs, vegetables and flowers - many of which have never been propagated by cuttings before. Of course, easily propagated plants will root quickly and grow phenomenally.